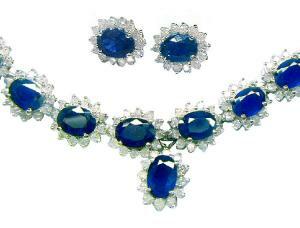 This luxurious necklace and earrings set is beautifully crafted in bright polished 14K white gold. The white gold sapphire necklace is made of 32 oval wire clusters. 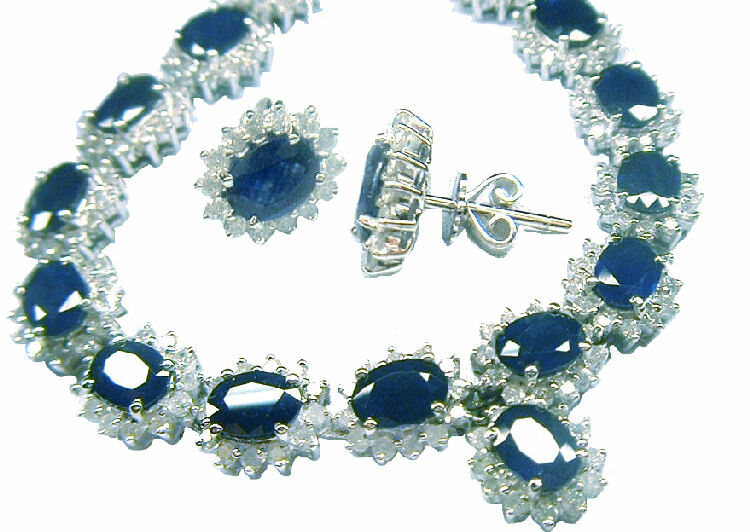 Each cluster has a 7.00mm x 5.00mm oval blue sapphire at the centre with each sapphire surrounded by 12 round brilliant diamonds of 2.00mm diameter each. The necklace also has a further cluster as a pendant drop attached to the centre of the necklace. 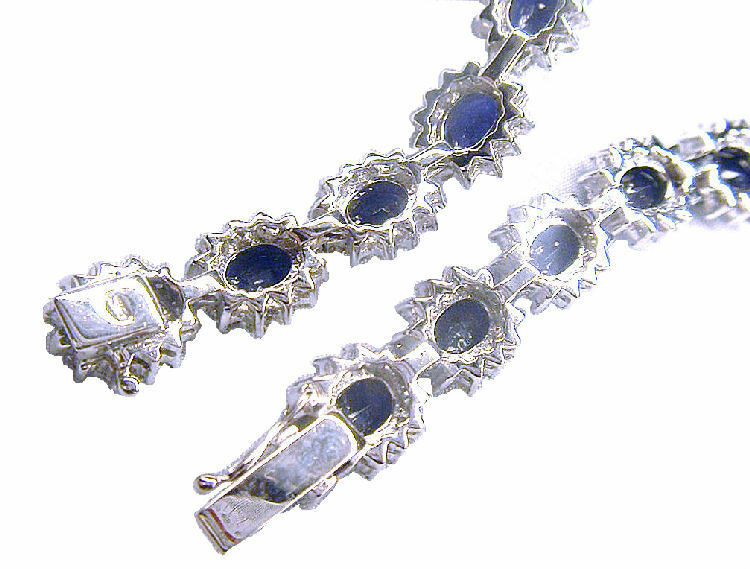 The sapphires have a total weight of 28.00 carats, while the diamonds have a total weight of 7.90 carats, I1/I2 clarity and I/J colour. 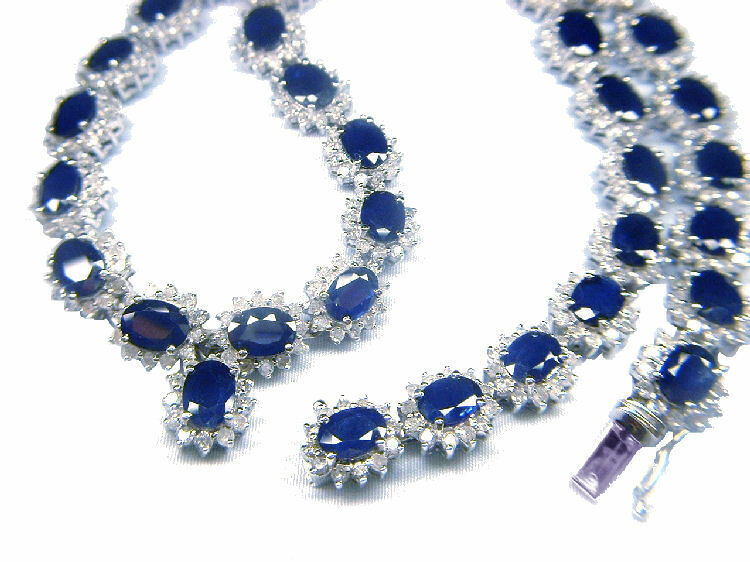 The necklace has a total weight of 47.50 grams and it is completed with a secure spring-ring clasp. The necklace is complimented by a dazzling pair of matching earrings to make up the complete set. 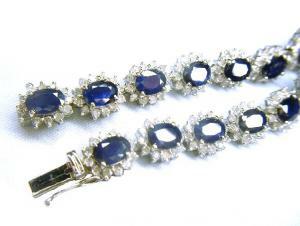 Each earring has a single oval-shaped prong-set sapphire weighing 1.00 carat (i.e. 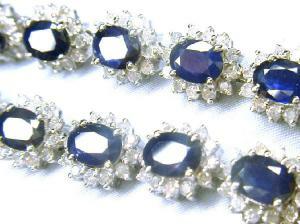 2.00 carats for the pair) and measures 7.00mm x 5.00mm each. 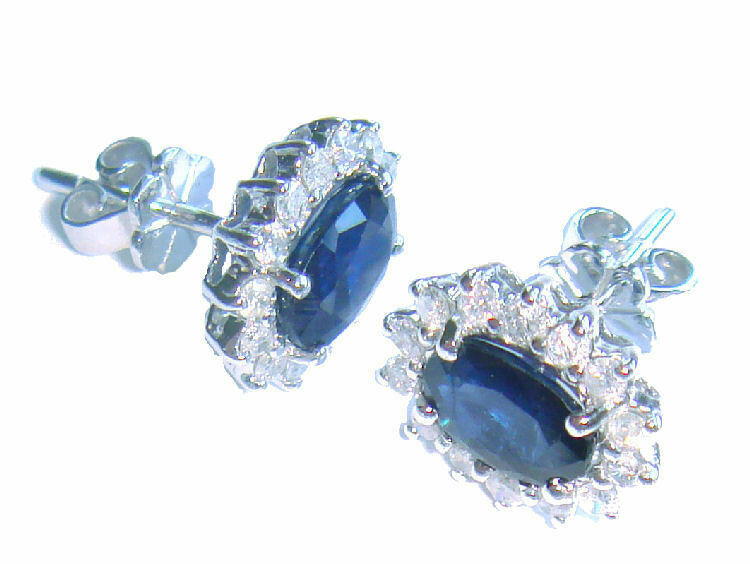 The pair of earrings have a grand total of 20 round brilliant cut natural diamonds with a combined weight of 0.50 carats. The diamonds have I/J colour and I1/I2 clarity ratings. The total weight of the pair is 2.80 grams and each earring measures 9.00mm across and 10.00mm long. Each earring is secured with a post and catch backing. An independent jeweller's certificate is provided with this set, with a valuation of £7,700.